A few days ago I went to the salon and my stylist suggested I cut my hair. I just wanted to cut the tips but said I could have a healthy and beautiful hair if cut more than that. I really found a good way to start the year is with a haircut so I agreed. I must admit the beginning was a great and immense change. I while I felt quite surprised (°_°). It was really free and really feel like I liked how it was. is a perfectly straight cut. ( ´ ▽ ` )ﾉ Anyway I feel great about myself and my new haircut. I'd really like to know what you think you my new haircut. And speaking of changing my blog now has its own domain. And all thanks to my Kokoro helped me make that change. Thank you very much to all for visiting my Blog! God bless you! I want to show this gel eyeliner that I bought last year by eBay. Actually there were many such liners. They have a brand is simply a small container with a brush of which there are many. Today I was reviewing and I realized that there are not many like that time. (*｀へ´*) The strange thing is that each brought their eyeliner brush and the cost was $ 2 and are still at that price, so I was tempted and bought it. The brush is only a toy or something. Because as you can see in the photo is not a brush disheveled never serves to delineate. 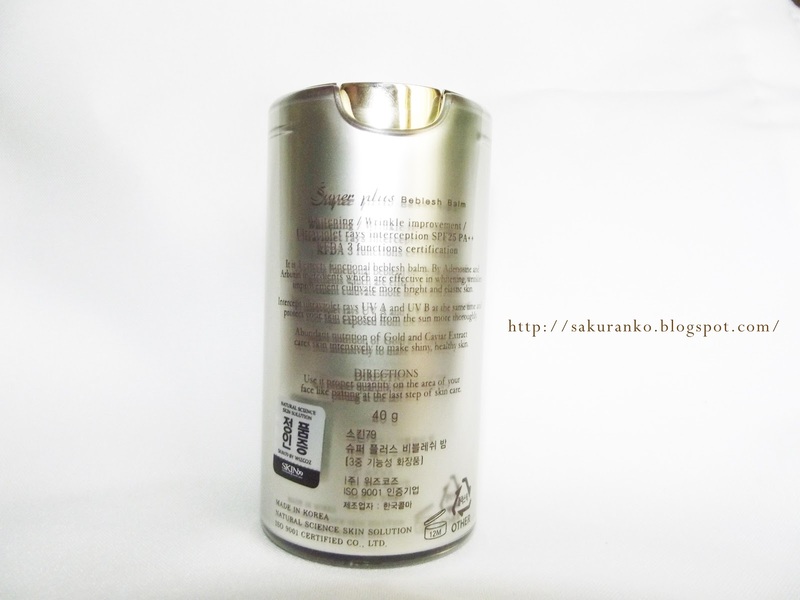 (*´∀｀*) As for the product itself, I felt quite relieved as it is of very good quality is quite pigmented. It's a good gel. No runs, lasts for hours I've used it for several months and has not dried (something that worried me). Not It irritates my eyes despite having sensitive eyes was not an aggressive product. It has a neutral odor. I think not smell anything. ･ﾟ(´□｀)ﾟ･｡ I really would like to buy a product or gel liner like MAC Cool or Bobbi Brown but so far not in my budget. Maybe when you budget for it or do a review of these gel eyeliners. Sometimes I find it shameful display products well but it really is a good product very useful very cool and very cheap. I suffer from really sensitive eyes and I had no reaction. 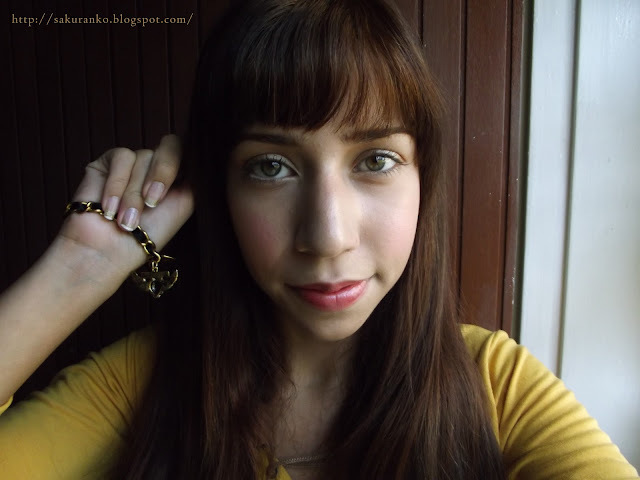 Thank you very much for visiting my blog, I hope you liked my post! ( ´ ▽ ` )ﾉ I feel I have unpublished decades. 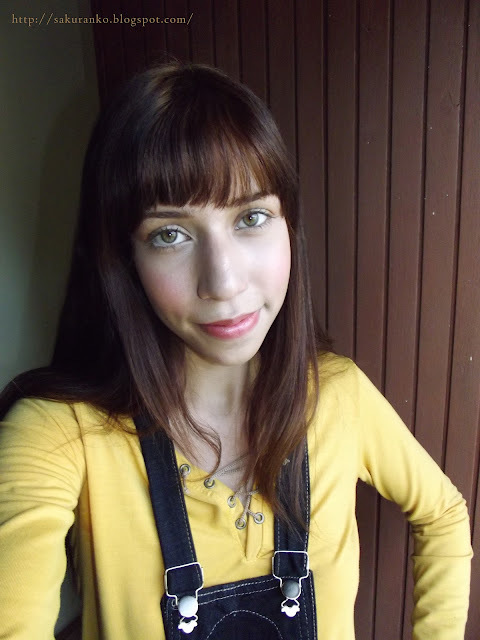 Today I want to show this outfit which I started to take some photos flirty. I've really been missing because I have been quite full of work. Well took 5 days and I feel unpublished spent an eternity. Good thing I'm working on my new makeup tutorial video so cute. Hope you like. 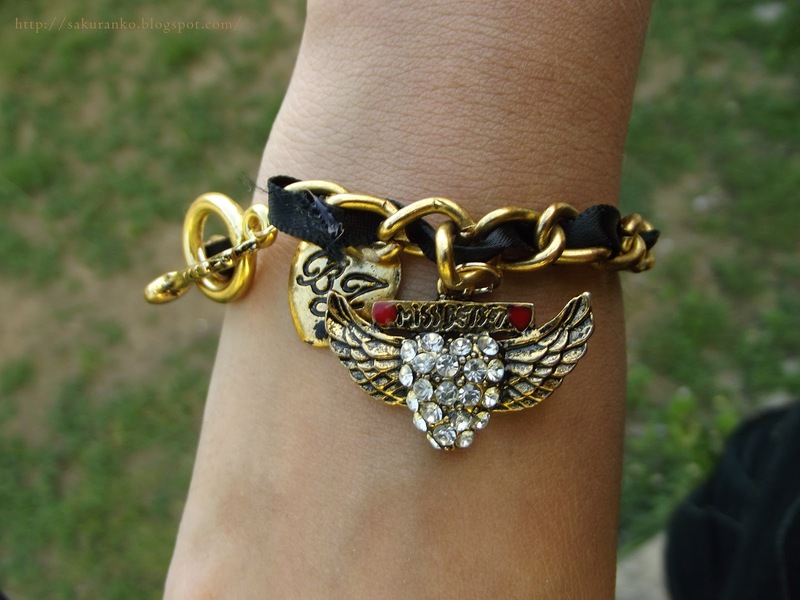 I'm not a person to use many accessories, use simple things simple, I want to show the detail that has this beautiful bracelet that gave me my Kokoro. ( ^ω^ ) It's very nice and I really believe that the combined gold with this look. Normally I do not publish products for hair care, but if I do. (^●^) More than a review really want to show this product that has worked well for me. I take care of my hair really pretty because I like having my hair healthy. My hair is very fine and very dry on the ends. The product for which I want to talk today is "Mystic Reconstructing Deep Treatment Hydracolor"
These are the ends of my hair without any treatment without using any product and after a few days of having ironing. (┳.┳) I know it looks terrible. One problem I have is that my hair is oily (yes, like my face). but in the ends is very dry. And I think that is due to the sun, dyes and iron it 1 time a week ever since. For this reason I use different products for the care of my hair. I bought this for $5 in a hairdressing shop stuff. When I finished my last conditioner never thought I would get this great product. 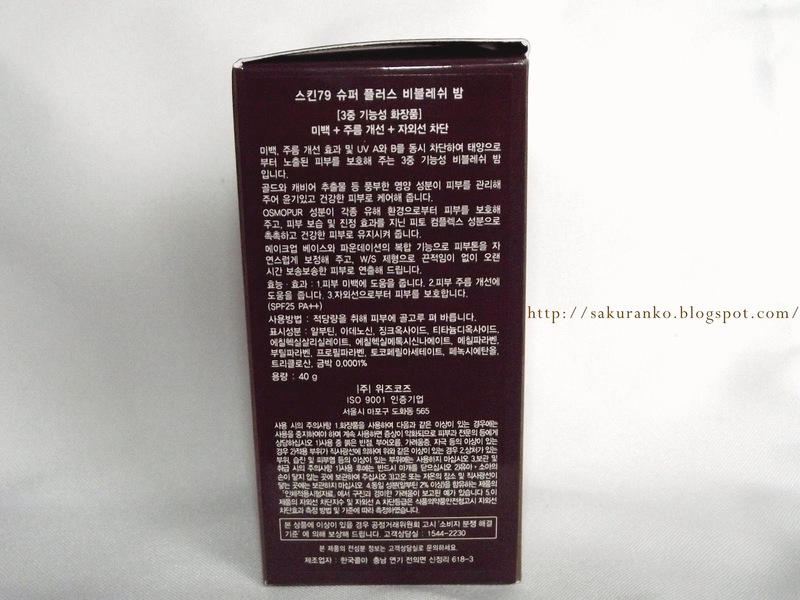 (･_･ And the best part is that it does not make my hair greasy but rather keeps it hydrated and strong. With the problem of the ends of my hair my mom had recommended that the cut but there is always a solution in spite of the time I paint my hair and ironed. 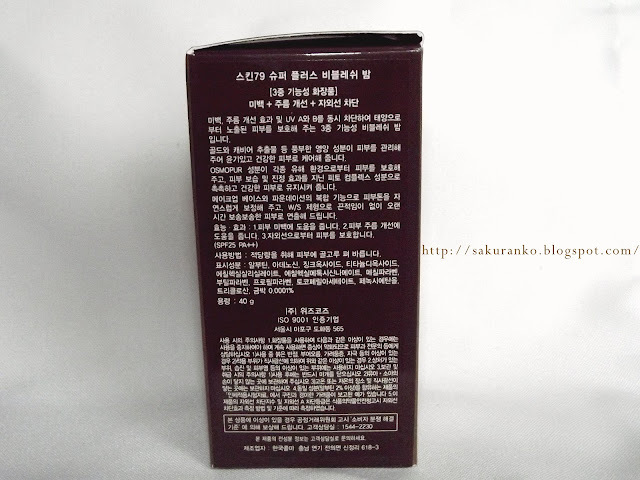 This is a new review of this product that I bought on eBay looking for TonyMoly brand products which is a Korean brand. 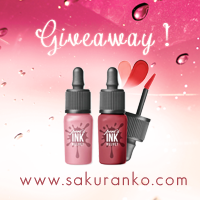 I've tried other products but begin their doing a review of this.ヾ(´▽｀;) Lately I have heard or are popular dyes lips basically a tincture or a tint that last longer than lipgloss or lipstick and help keep lips hydrated. 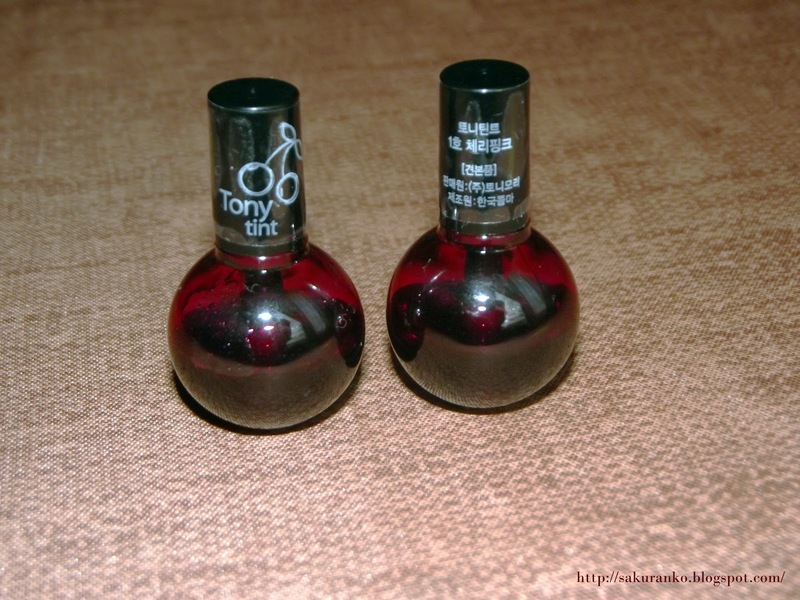 I bought on ebay two mini TonyMoly Tint brand for about $5 really seems reasonable because these dyes last long though each bottle comes with 3 grams. I've applied fairly and really seems never-ending. Bring Jojoba oil helps keep lips hydrated. And supposedly Stevia helps maintain healthy cells. ❤ Promotionally speaking all it offers is great. 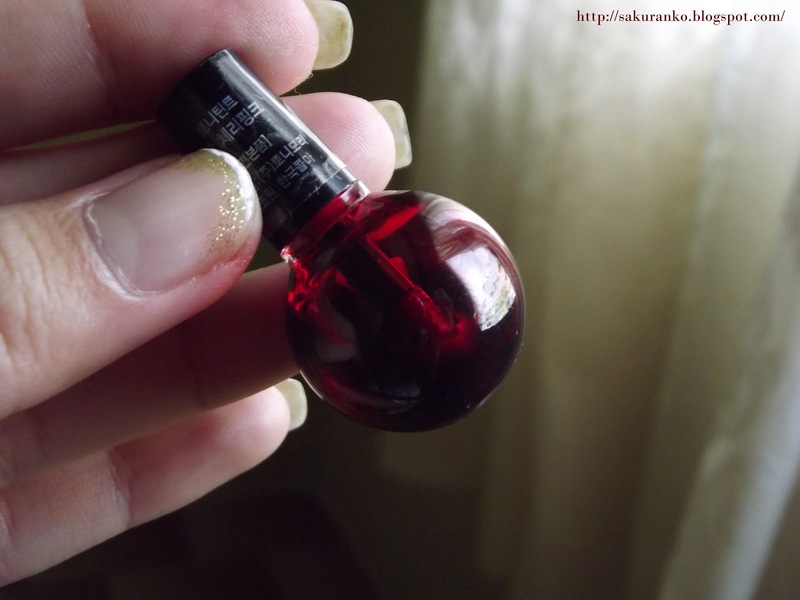 ✩ Bottle and Odor: The bottle is really very simple one round bottle with intense dark deep color. The smell is a little strong and I must admit I can not be nice to some people. 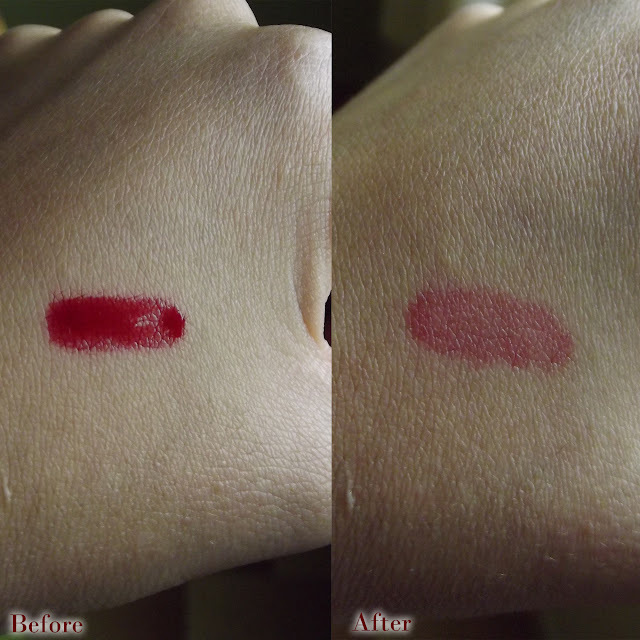 ✩ Durability: This product promises to be full-length photo of the newly applied before the intense color can see in the second photo I cleaned tint with a napkin there can see that the color drops significantly. - It is an economical product. 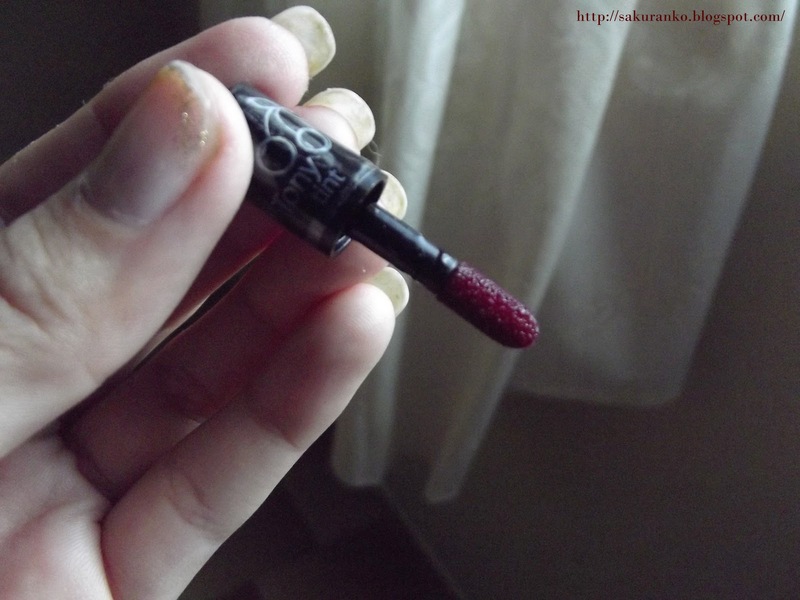 - It's something different to lipsgloss and lipstick. - It tastes weird (I personally don´t like). 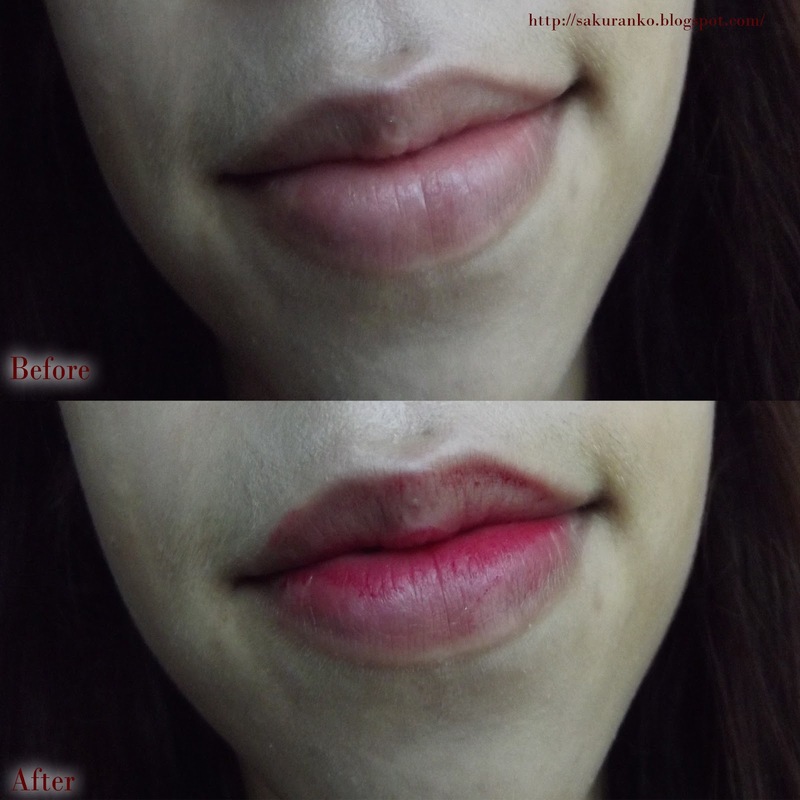 - Sharpen the lip lines (especially if tend to dry lips like mine). - After a couple of drinks away from the lips. Well this is a different product for me, I must admit that I would use to do makeup as vampire or something. I do not like because it highlights the dry parts of the lips. And no one wants their lips look chapped. Furthermore although the color is quite intense and especially after a couple of drinks the color is going and I can say that looks natural but is not that I love completely. Tastes weird and smells very strange not convinced I did not fill my expectations and not do it again buy back (at least not this brand). (/ﾟДﾟ)/ I do not think I mentioned this is the color # 1 Cherry Pink. Today I want to show you a very simple recipe, homemade and natural parahacer a moisturizing mask for your skin and beautifying our face.  But before that I want to give a brief introduction about it. 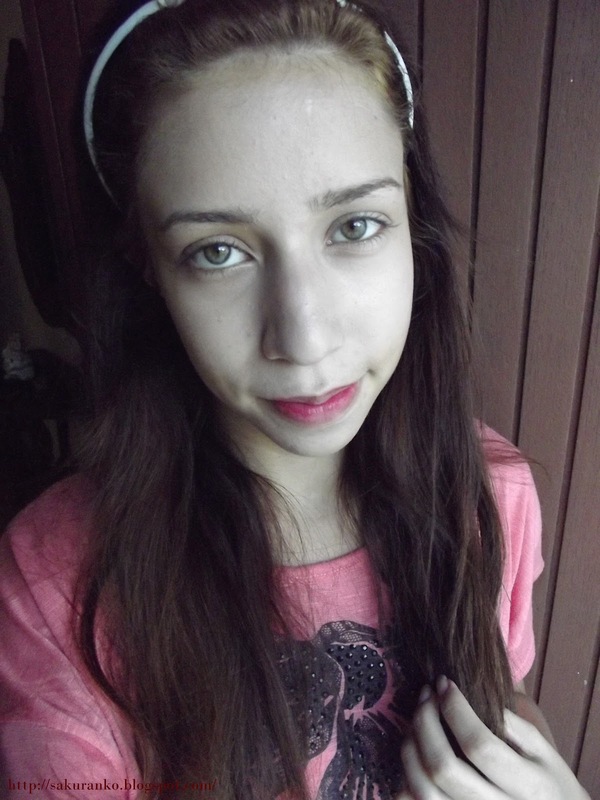 Really I prefer natural products for skin care, (although I do not neglect traditional). But I've had bad experiences with masks, last year I used a Korean brand masks and handed me what I mentioned before. Natural medicine or rather medicinal and healing properties that nature provides is much better than chemical products and derivatives. I'm still young and I really think I have much to learn but I want to share with you natural recipes can be prepared at home and that will help your skin. - 1 Egg (We use only the egg white). - 1 Tablespoon of Milk Powder. Cucumber is an excellent moisturizer because it has large amounts of water while regenerating skin because not only moisturizes but because Nosolo contains Vitamin E and minerals that it contains. The egg has huge amounts of protein (for this reason the athletes take raw egg because it contains many proteins.) Also contains niacin, riboflavin (which are vitamins) and Magnesium and Potassium (mineral). Milk is good for the skin because it has lactic acid in the skin which creates a tightening effect excellent. 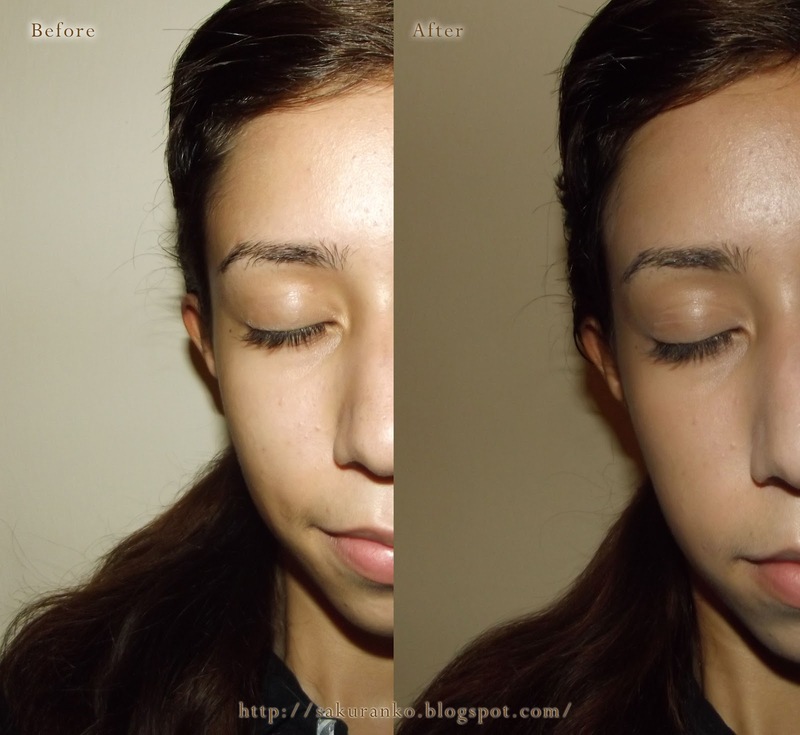 It has a number of Oligopeptides help smooth wrinkles and give a velvety effect. It has bioproteins that helps keep moisture. And of course combines Vitamin A that helps smooth skin. 1.- Cut the cucumber into smaller pieces, with the shell and the pulp and seeds, nothing takes away the cucumber, cut into pieces just smaller. 2.- We separate the egg white from the yolk. 3.- We measure a tablespoon of milk powder. 4.- Place all ingredients in a blender. Blend together all ingredients together until it becomes a homogeneous liquid. And the mask is ready, so much water has cucumber that will be quite watery. The white color is due to the milk. You leave the mask on the skin for 20 minutes and remove with warm water. 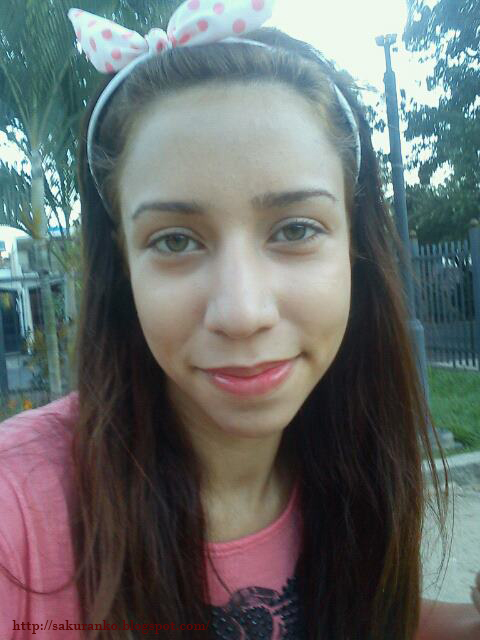 In the photograph above can see my skin look washed my skin looks great but there are oily redness. In the photograph of then my skin looks noticeably smoother, pores quite diminished and the red area of the nose smoother. 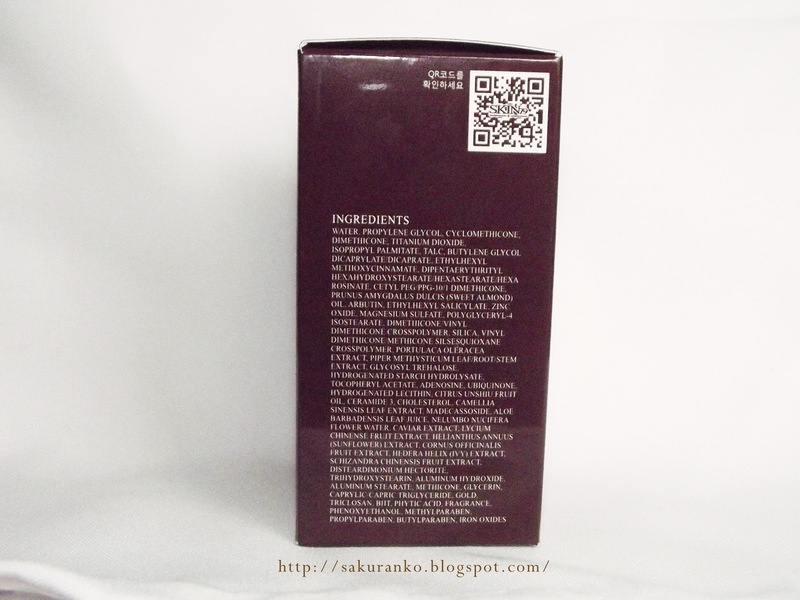 This is really face mask moisturizer leaves skin soft, smooth, clean and moisturized. 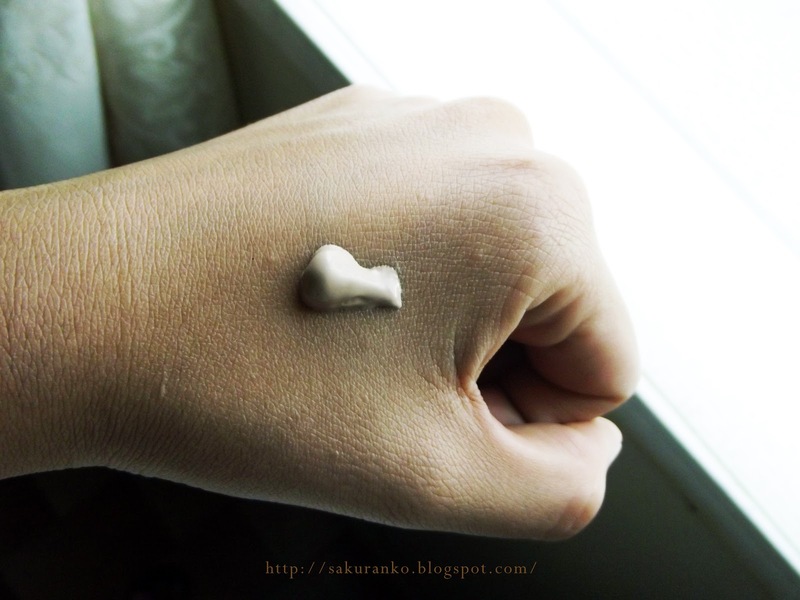 It gives dry skin vitamin, mineral and very moisturizing. It is an alternative to spending large amounts of money is a mask and expensive chemicals. And best reduces expression lines. o(≧▽≦)o Today I am really very happy because today I received and I bought something online months ago and it really is pretty cool. I do not know if you knew this before or had seen. >w< I know there are many readers of SD cards, but mine is extropeó months ago and I had to use my cable to download my pictures (which I really do not like). I ordered this online but it is very small but it is a reader, only for MicroSD. Actually this post was made today. And today I received this product great. Thank you for visiting my blog for reading and for leaving me lovely comments. Today I was at home and I decided to renew my manicure, really not managed since 2012 (LOL xDD) but really good one of my color is purple so I decided to design in purple. 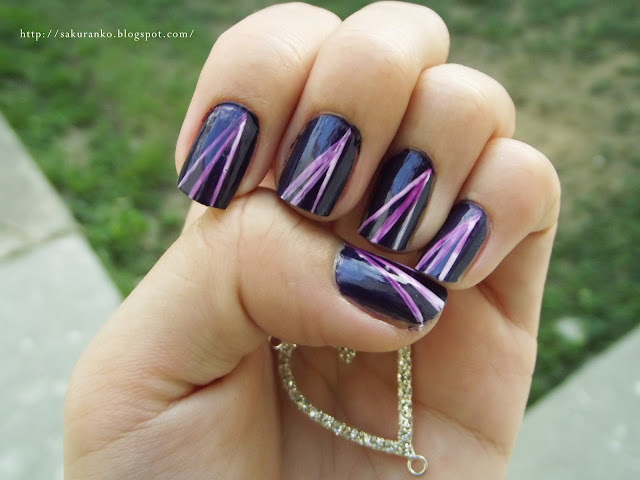 (´∀｀)♡It really looks like a gradient but I really do my nails is really very simple. And sure wonder where the heart is in the design? Quite simply, I hold ヽ(* ≧ω≦) ノ I really had this little heart for some time and did not know how to use it so I took it for photos and not to stay alone put it in the title, yes, it may be childish but it´s ok for me. 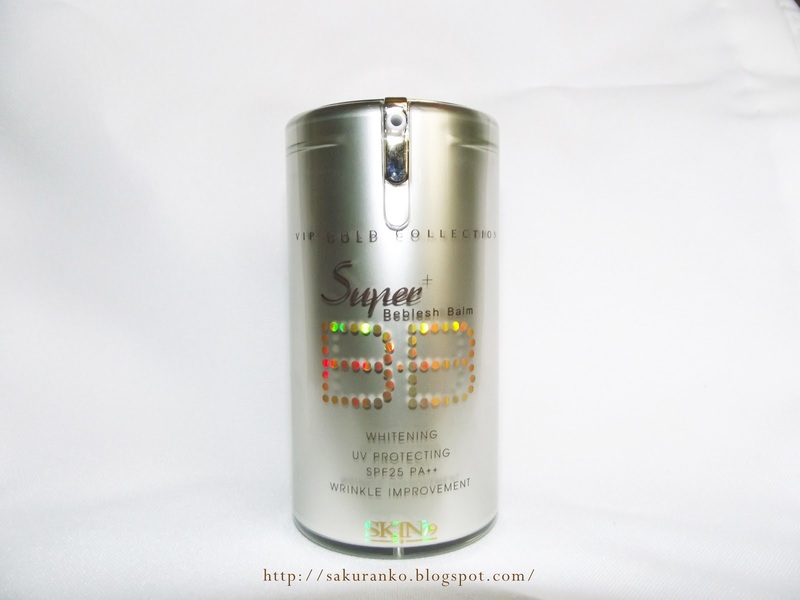 SKIN79 SUPER VIP GOLD BB CREAM "Review"
Here you can see my previous reviews of these other BB cream that are brand Skin79. Back Side of the box. ✿ Packaging: As you can see is a very beautiful golden box. Bring in the bottle in bringing the product is pretty clear the box giving the product specifications. ✿ Color and Texture: It has a very creamy texture of a soft little it´s no sticky. Its color is like a medium beige. Not so gray and so clear. The texture is creamy. It has a pleasant aroma. Before using this product my skin was completely clean. I really try to take care of my skin imperfections have not always there. After applying this BB Cream I consider that merged well with my skin color really is very natural effect can only be very light a little more even my skin but the difference is pretty minimal. 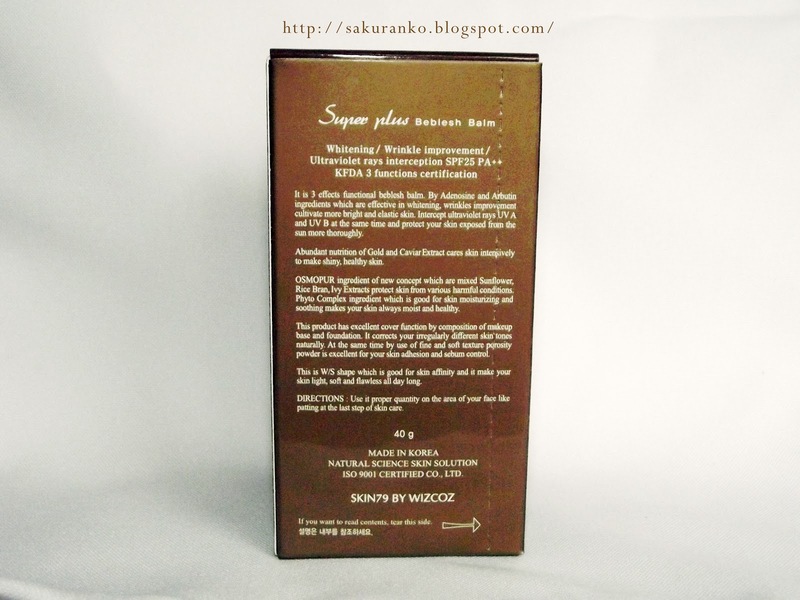 - Bring ko SPF 25 which is great to protect our skin. - It is a product with reasonable price. - It is well adapted to the skin tone. - It is quickly absorbed. - Has Caviar extracts that help long term skin. 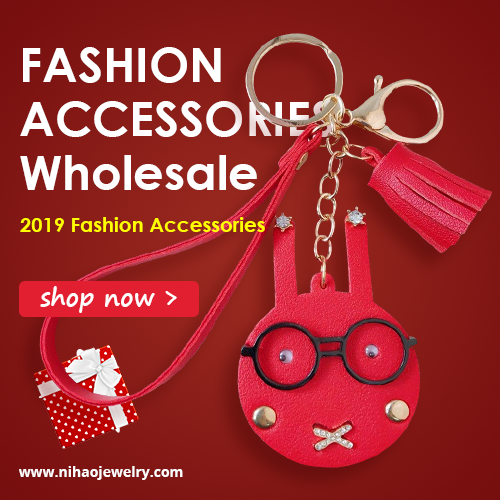 - In most countries of the world can only be purchased online. - It is more useful for normal to dry skin it can become something greasy to hours for oily skin. - It is not a light base has a high coverage. I really feel sorry for putting this post after so long. (///∇//)! Well it is an interesting product that encourages me to try and caviar at that and it was golden and had natural extracts and it was really lovely VIP. As for the product itself 40 grams seem fine. (*´ω｀*)﻿ Now I must admit I surprise me that and not so greasy moisturizer. For normal or dry secure a great result. It has a medium beige fits nicely. Now what disappointed me about this product is that after a few hours basically seems to have disappeared from my skin. As it is so light that seems to disappear. In addition to their level of coverage is minimal. It really does not help in those days we want to hide any imperfections. But if it helps to maintain healthy skin. 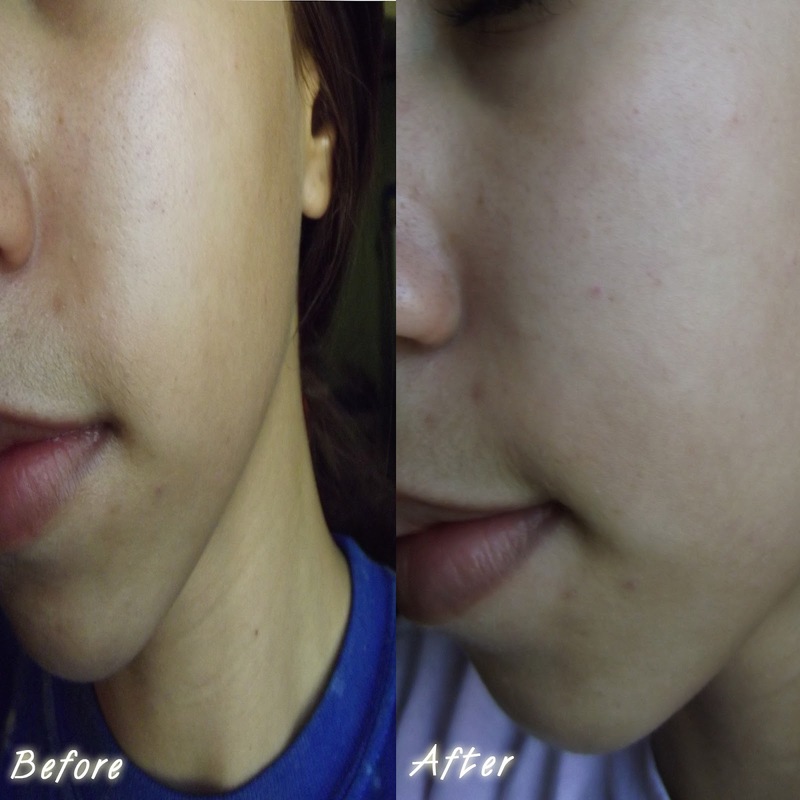 And I must confess that helps heal scars caused by pimples or other, but this is long term. I really wish that you liked this review, I did it with love. I should really do this before. But hey thanks for visiting my blog and thanks for the support and for reading.